Vadim Trincher in a WPT publicity shot celebrating his win at the 2009 WPT Foxwoods Poker Classic. Numerous figures connected to poker are included in a major sportsbetting and gambling indictment handed down by the Department of Justice Eastern District of New York offices today. The indictment centers on gambling, racketeering and extortion allegations against alleged members of Russia-based organized crime groups, along with defendants more noted for their connection to the poker world. According to numerous mainstream reports and verified by poker figures iin widespread forum and social-network posts, the busts took down a celebrated New York City “big game” that featured numerous poker pros, athletes and celebrities among its attendees. The indictment was centered on connections to Russian mobster Alimzhan Tokhtakhounov, also known as “Alik Taiwanchik”. Tokhtakhounov / Taiwanchik was listed in a 2011 Forbes piece as one of the world’s 10 most wanted fugitives. Tokhtakhounov is one of three defendants in today’s indictments who was not swept up in this morning’s wave of arrests. Tokhtakhounov is already a fugitive from the US, having been implicated in a 2002 plot to bribe Olympic figure skating judges. The Forbes piece quotes an earlier US report describing Tokhtakhounov, an Uzbekistani whose “Taiwanchik” handle comes from his Asian-looking features, as “”a major figure in International Eurasian Organized Crime’ who has been involved in ‘drug distribution, illegal arms sales and trafficking in stolen vehicles. One of Tokhtakhounov’s primary partners in the New York City sportsbetting / high-stakes-poker / money-laundering operation is alleged to be Vadim Trincher, with the indictment often referring to the “Taiwanchik-Trincher Organization”. Trincher won the 2009 WPT Foxwoods Poker Classic for $731,079, and was most recently in the news for filing a $6 million suit against the owners of the Trump Towers apartment. Trincher’s luxury condo was allegedly beset by a mold problem caused by water leaking down from an apartment one floor above, where actors Bruce Willis and Demi Moore once lived. In that complaint, Trincher alleged that the mold damaged wall hangings worth millions. Trincher faces an extensive series of charges, including two counts of racketeering, money laundering, extortion, and violations of the Illegal Gambling Business Act (IGBA) and Unlawful Internet Gambling Enforcement Act (UIGEA). The Taiwanchik-Trincher Organization was led principally by three individuals: ALIMZHAN TOKHTAKHOUNOV, a/k/a “Taiwanchik,” a/k/a “Alik,” VADIM TRINCHER, a/k/a “Dima,” and ANATOLY GOLUBCHIK, a/k/a “Tony,” the defendants. ALIMZHAN TOKHTAKHOUNOV, a/k/a “Taiwanchik,” a/k/a “Alik,” the defendant, who lived in the Russia Federation, was a “vory v zakone,” commonly referred to as “Vor” — a Russian term translated as “Thief-in-Law” and referring to a member of a select group of the highest-level criminal figures from the former Soviet Union who receives tribute from other criminals, offers protection, and uses his recognized position of authority to resolve disputes among criminals. As a Vor, TOKHTAKHOUNOV had substantial influence in the criminal underworld and offered assistance to and protection of the Taiwanchik-Trincher Organization. Trincher was also alleged to have close connections to New York art deal Hillel “Helly” Nehmad, the son of a European billionaire. Nehmad’s stylish Helly Nemad Gallery, like Trincher’s Trump Towers apartment, was raided this morning, though Nehmad is currently not in the US. 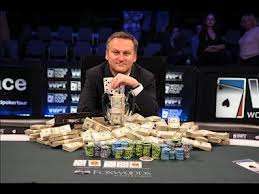 While Vadim Trincher and his son Ilya face the most serious range of charges, including those of racketeering, money laundering and extortion, the other poker players are accused of assisting in other parts of the operation which included online sportsbetting in addition to the operation of the high-stakes poker games. Check in with FlushDraw for more news and reports on this breaking story.